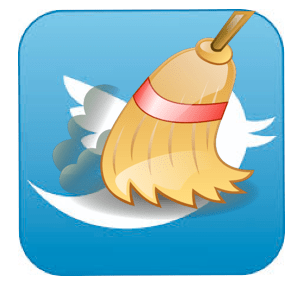 If you’re on Twitter, you may have found yourself wanting to review and remove some of your past tweets. While most of us like to think our social stream is innocent enough, your new love interest or prospective employer may not find the same humor in some of your old tweets as you do. Additionally, if your child is applying for college, there is a good chance that their social media accounts are being reviewed as part of the admissions process. The good news though, is that Twitter recently made available the option to download your entire Twitter history into an easy to navigate archive. The archive is a simple way to review years of Twitter activity and delete stuff that you no longer want to be a part of your social record. 1. Login to Twitter and go to the gear icon in the upper-right of the screen. Click on “Edit Profile” and then click “Account” on the left. 3. Clicking on this button will issue a request to Twitter for the complete archive of your history. Twitter will send an email to the address associated with the account with a link to download a zip file. 4. When you receive the email (mine took only a couple of minutes), download the zip file to your computer. Unzip the file and you will see a folder with several files and subfolders. The simplest way to use your Twitter archive is through the archive browser interface provided in this folder. Just double-click `index.html` and you can browse your entire history of Tweets from inside your browser. What’s great about the archive browser is that you can click on each month and quickly see all of your activity for that month. Including: your tweets, retweets, and @mentions. Additionally, clicking the “View on Twitter” link, takes you directly to the tweet on Twitter where you have the option of deleting or “unretweeting” it. When reviewing my own Twitter archive, I found a few tweets from several years ago that no longer fit the persona I wish to portray online today. Fortunately, this process made it pretty easy to delete them. It was also fun and interesting to “go back in time” and see my reactions to big events. If you’re a parent with a child on Twitter, consider conducting regular audits of your child’s digital footprints and ensure that they aren’t posting personal information or making inappropriate comments. It only takes one bad tweet to ruin their reputation. Also, using a social privacy-monitoring tool such as SociallyActive can keep you up-to-date with your child’s online activities and help save you the time and effort of doing it manually. Like this post? Then you’ll love Abine’s Ultimate Guide to Twitter Privacy, coming soon! Will Google Glass be the next big privacy violation? Thanks for sharing good twitter tips Sarah! Amazing! I searched all over the internet to find the easiest way to do this, so happy I finally found one that works! Hi, I’ve tried using the archive download and then clicking index.html to let me browse and delete my old tweets, however when I double click index.html it takes me to a blank page with a search box that doesn’t let me search anything in? I really need to delete old tweets asap. I’m having the same problem! Have you found a way to fix this? You need to extract ALL the files from the .zip folder into a different folder on your computer. I had this problem too and it fixed it. If I go online and delete my tweets via the actual twitter website will my tweets be removed from my archive? I’d like to be able to keep my old tweets for myself to review, but I don’t want them on my online profile anymore. Thank you so much! I just took a webinar on how to use Twitter in education, and I really wanted to use my current handle as my professional one, but I was unsure how to clean it up! !